We do not attempt to identify visitors to our site and have no way of doing so, we do keep anonymous statistics of visits to our pages using StatCounter.com. whose web servers automatically log the browser's domain name, IP address, the date and time of visit, browser (e.g. Firefox 3.5), operating system version (e.g. Windows XP), screen resolution (e.g. 800x600), referring link, the current page url and the current page title. StatCounter sends a cookie to be stored in the cookie folder/directory provided by your internet browser on your computer. This is used to determine if you have visited the site before and to count the number of page loads on each visit. Without this cookie each visit to every page would be logged as a separate visitor. These statistics help us monitor the use of our site and to improve its usefulness. 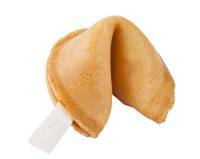 The term "cookie" came from fortune cookies which contain a written message. Cookies are small text files containing just letters and numbers encrypted so that only the server that sent them is able to read them, they are not programmes that run on your computer. You may wish to visit www.aboutcookies.org which contains further general information about cookies together with comprehensive information about how to restrict or block cookies using your browser and how to delete cookies from your computer. If you disable cookies you should not see any difference with our site however many websites will lose some functionality and social media and ecommerce sites may not work at all. http://statcounter.com/about/set-refusal-cookie/ this will apply to all websites that use StatCounter not just ours. If you use the contact details on the site to send us an email we won't disclose your email address to a third party without your explicit consent. We never make lists of email address available to third parties for marketing or any other purpose.